Temperatures dropped dramatically Tuesday night and dangerously cold conditions will continue through Wednesday. 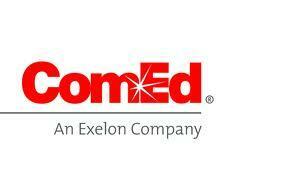 Northern Illinois utility giant ComEd has a weather command center up and running. It's meant to be able to take a larger volume of calls, especially from residents without power. External Affairs Manager George Gaulrapp says they’ve also assembled contact information for local warming centers if residents aren’t able to get in touch with their city government or the Illinois Department of Human Services. He also says people should stay away from any downed power lines, as they are dangerous in all conditions. Gaulrapp says people should contact the utility directly at 1-800-334-7661 to report outages and downed power lines. He also notes they should be prepared to give as complete an address as possible, so crews can restore power quickly. The utility also maintains an online portal to track outages.